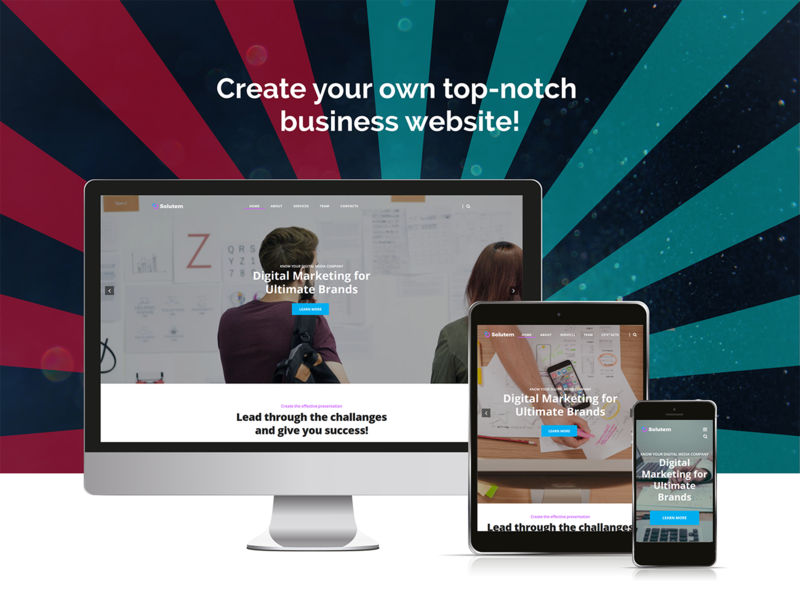 Promote your creative agency in the most astonishing form using Solutem theme. 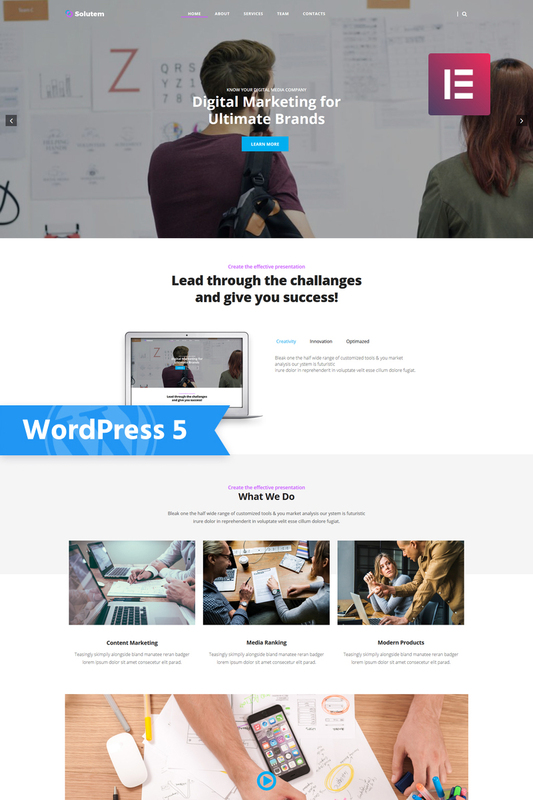 You will be able to create a professional site and apply different custom settings to it easily and quickly with this theme. There are varied pre-designed pages, such as Home, About, Services, Team and Contacts, where you will add relevant content. Also you will be pleasantly surprised about the functionality of this theme. 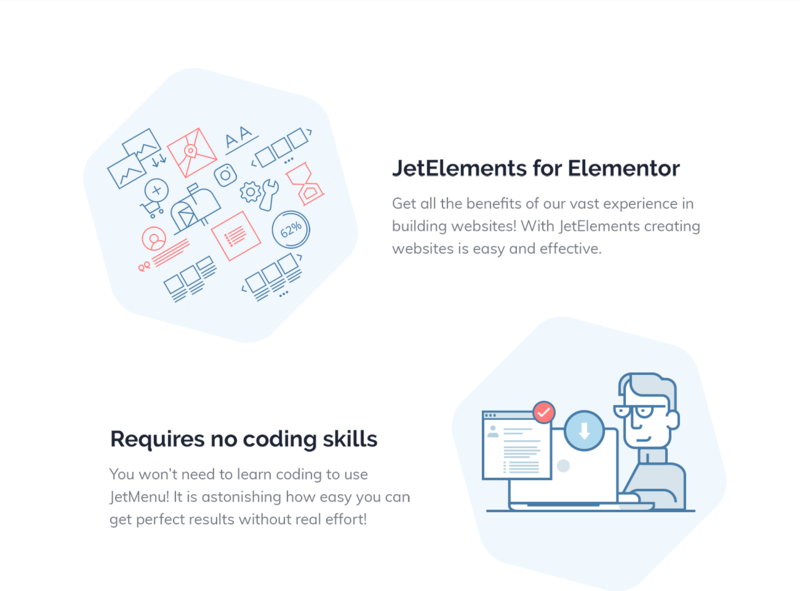 You will be able to use Jet plugins bundle for Elementor page builder to design your site. 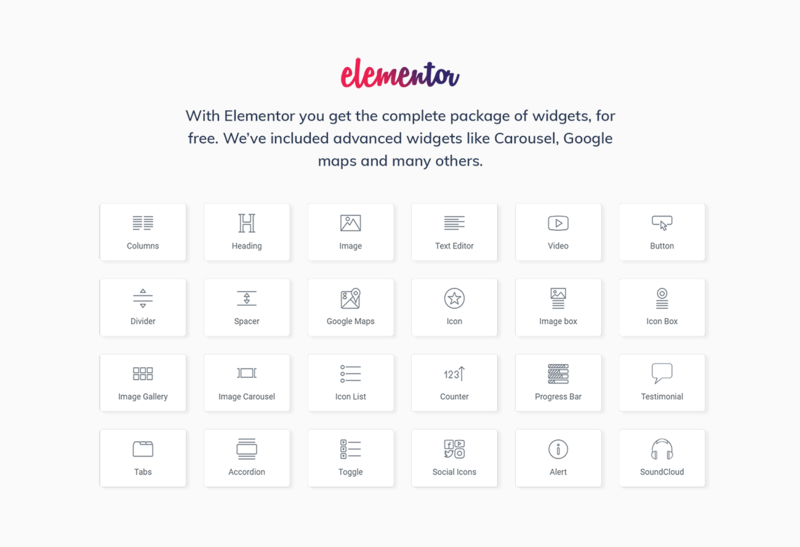 With JetElements plugin you will enrich content with attractive elements and apply style settings to the theme without any coding knowledge. JetTabs plugin will allow organizing content into stylish tabs and accordion blocks. You will use JetThemeCore plugin for creating custom headers and footers. JetBlocks plugin will help to expand the functionality of headers and footers. You will engage more clients and boost popularity of your agency with a responsive Solutem theme.